Shifting industry - from Stroud to Yorkshire. Scarlet cloth produced in Stroud Valleys over many centuries. This year we are looking for works of individual interpretation and creative engagement with one or more selected artefacts (see below) responsive to the broader historical, cultural, natural or industrial backgrounds. Some suggested guidance points & ideas are listed with the artefacts but are not prescriptive. 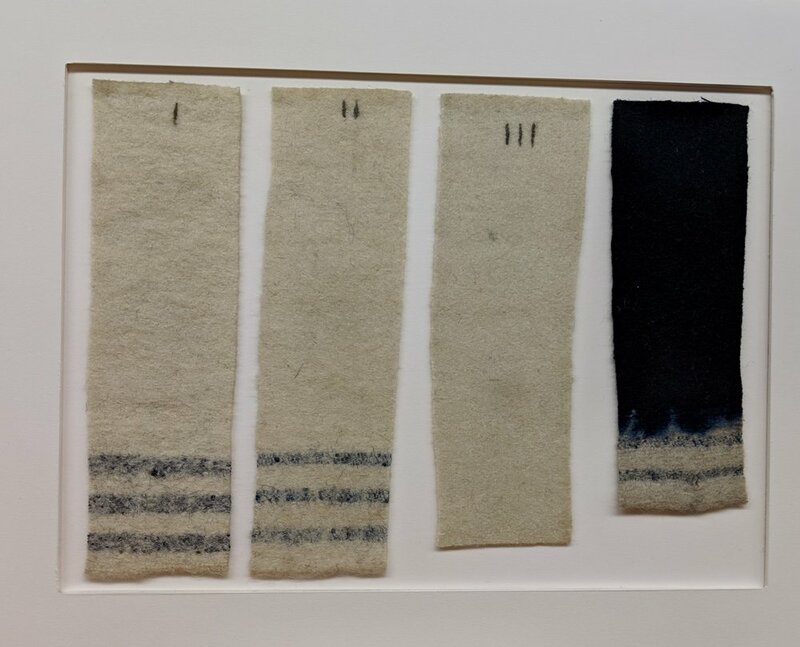 There are many factors that made this renowned woollen material possible and artists are invited to consider those wider issues. We are looking for an imaginative range of interpretations – the artist’s view. The work will be of interest to general audiences at the Material Flow exhibition and related Wool & Water Festival events. Water mill paddles © Museum in the Park, Stroud. 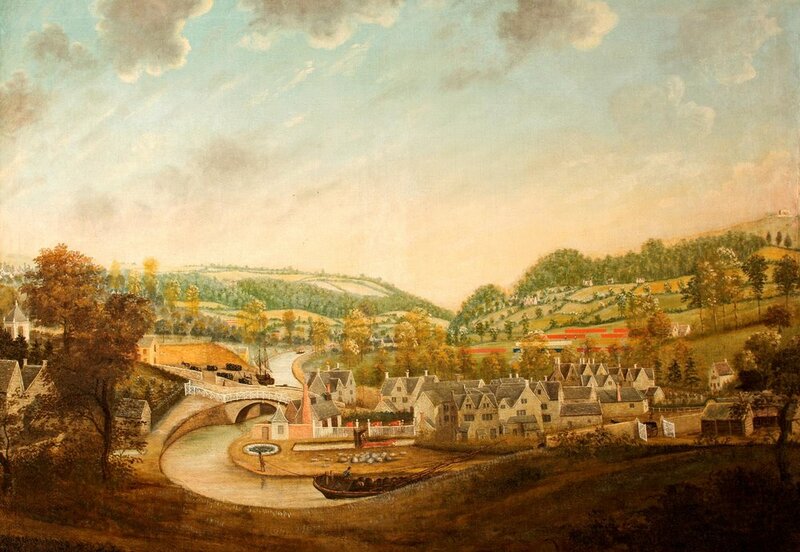 View of Wallbridge c.1785 © Museum in the Park, Stroud. Artist unknown. A sheep and its owner, c 1800. © Museum in the Park, Stroud. Artist unknown. 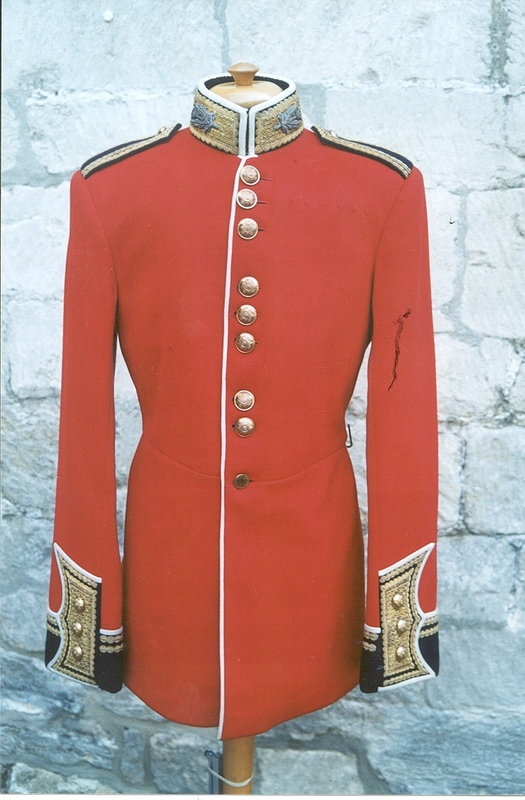 Red military jacket © Museum in the Park, Stroud.